This is a picture of what my mantel currently looks like. This is extremely impressive being that poor Dustin only got like four cards for his birthday. I should say that this is a combo of cards from Brady's birthday and baby cards for Parker. I'm rapidly running out of room! I'm going to have to start sticking my cards on the wall. I don't think anyone will quite understand what these cards mean to me. Growing up, I didn't have much family around or many family friends. 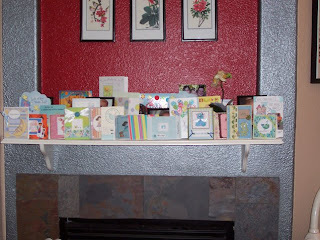 I would normally get maybe three birthday cards (one from my mom, one from my dad, and one from my Godmother.) It's just going to be so amazing to pull out these cards when my kids are old enough to understand and say "Look at how many people love you." And "Look at how many people took time out of their day to say they were thinking about you." It's extremely touching to me. 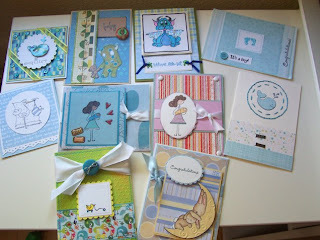 Here's a close up of all the handmade cards of I've gotten from my blogging/stamping friends. I am SO touched! And more come every single day! Each one makes me feel so special! Also, on a side and very sad note, you may have remembered me saying that my grandpa was sick and in the hospital. He passed away this last Sunday due to heart complications. He is one of the best people I've ever met and I'm lucky to have had him in my life for as long as I have. Ashley this is so cool. You are so loved in blogland. So sorry to hear about your Grandfather. Hope you are enjoying your boys. Sorry to hear about your Grandfather. My thoughts and prayers are with you. Awwwwwww...I'm sorry for your loss. BIG HUGS from this girl! You are definitely loved. Your box (and card!) from me are in the mail. The ziplock should keep the chocolate from melting all over everything. how sweet of you to share them with us. and they are all beautiful. i hope you have a big enough album to put them in - LOL. 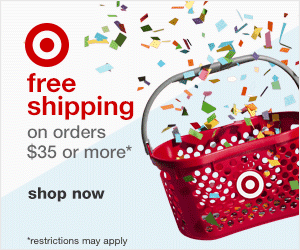 I am so happy you got my card! it did exactly what it was supposed to, make you smile. I am sorry about your grandpa, its always hard to lose a loved one. hugs! !